From the University of Georgia to Mississippi State University, the Bulldog mascot symbolizes strength and tenacity in many schools. While we do see the Boston University Terriers, the University of Indianapolis Greyhounds, and the Southern Illinois Saluki, in general the Bulldog dominates. 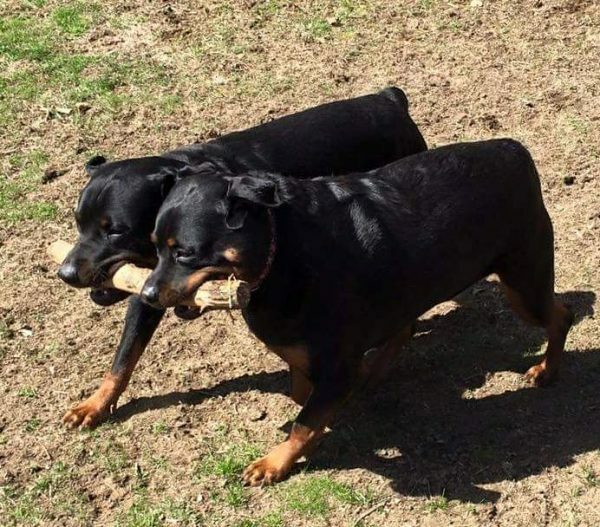 But many sporty breeds suggest they’d be great mascots. Let’s hear from five of the most enthusiastic petitioners, who even choose their own schools. We’re all-around athletes. Imagine (in human form of course!) our confidence on a basketball court, our endurance in a track meet, or our Get It Done sturdiness on the football field. We have an ancient Roman drover-dog heritage, with centuries of toughness behind us. We’d like to appeal to the University of Rhode Island to drop the Rhody the Ram mascot, and consider the charm of the Rhode Island Rotties. Has a ring to it, doesn’t it? 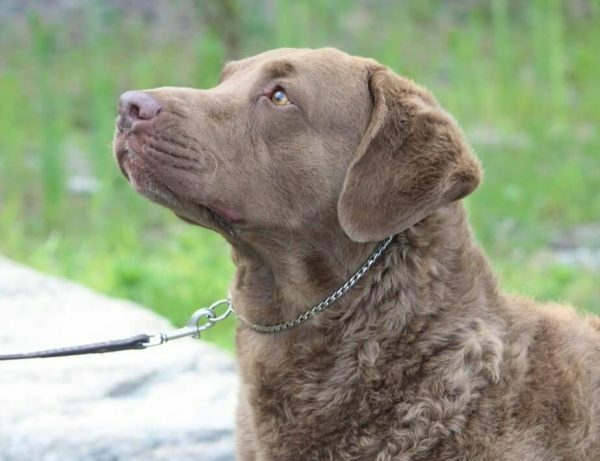 Chesapeake Bay Retriever courtesy Jessica O’Dell. I was bred as an exceptionally strong water retriever, working in the icy cold Chesapeake Bay. Heck, I could retrieve a hundred birds in a day and still have the energy to run home. Who could better represent a school’s athletes? I would like to petition the University of Colorado in Boulder to send their mascot, Ralphie the Buffalo, packing, and sign me up for the job. After all, I’d be easier to handle on the field than a 1,000-pound Buffalo, right? Here’s to the Colorado Chessies! So what’s not to like about a top-notch, cheerful canine athlete? One of the oldest hunting breeds, we hunted with Magyar tribes and later with the Hungarian aristocracy. Bred to work with man, we’re upbeat, energetic, and exceptionally fast. Plus we are the epitome of good sportsmanship. If I see another dog on point for a pheasant, I point (honor) the other dog, rather than pointing to the pheasant myself. I ask the University of Vermont’s mascot, Rally the Catamount (a nod to a legendary mountain cat, apparently), to concede his seat to me. 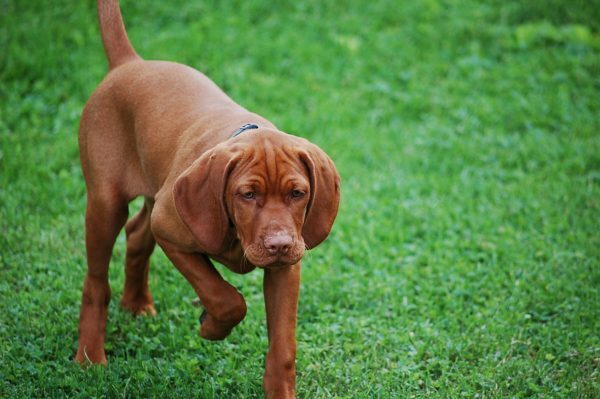 The Vermont Vizslas rolls off the tongue, doesn’t it? 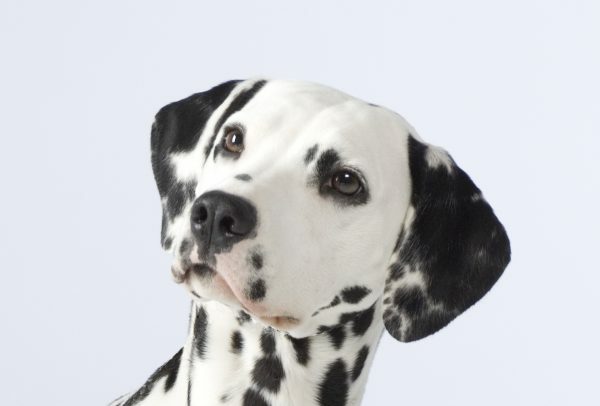 Dalmatian courtesy Toni Linstedt/Dalmatian Club of America. 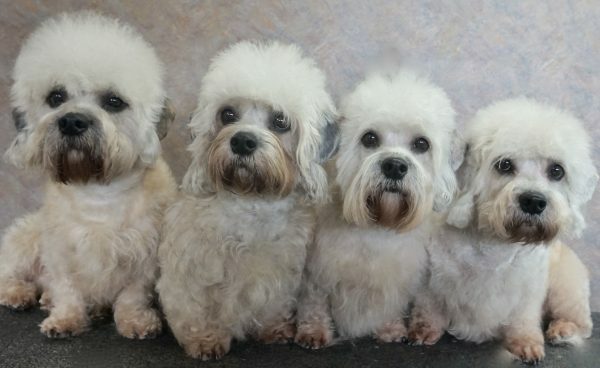 Dandie Dinmont Terrier courtesy Cathi Tower Chriscaden/DDT Club of America. Yes, I’m small, but hear me out. We may be only 20 pounds or so, but we’re a working Terrier, bred to go to ground. We’re certainly as bold, determined, and tenacious as a Bulldog. Hunting badger in underground dens isn’t for the faint of heart. Plus we’re incredibly agile and enjoy any sport that involves action. And we’re the only breed with our own tartan! The Duke of Buccleuch bestowed one on us. I’m proud as punch of my Scottish heritage, but here in the states my school choice for mascot duty is Drake University. Their live mascot, Griff, is a charming Bulldog, I admit. But we’re game to break this Bulldog monopoly. Let’s hear it for Drake’s Dinmonts! The post These 5 Dog Breeds Would Make Winning School Mascots appeared first on Dogster.